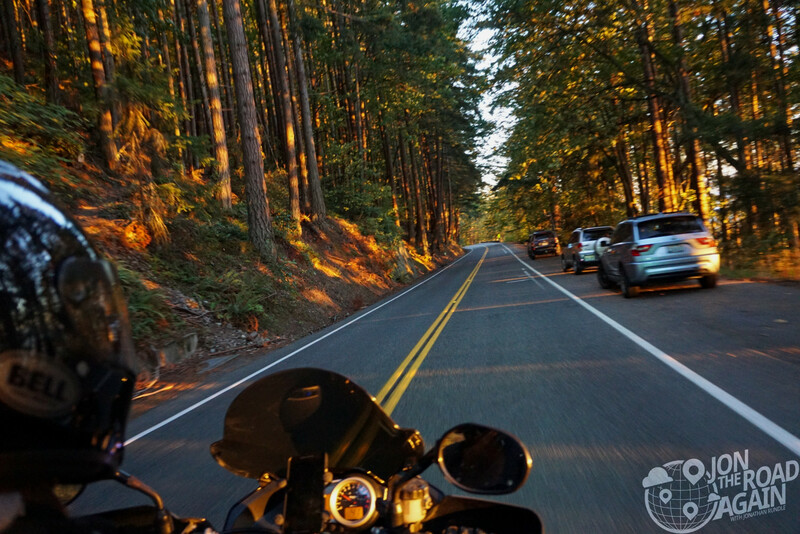 After riding Mount Baker Highway and grabbing some dinner in Bellingham, we decided to take the scenic route back to I-5—and that means a beautiful sunset ride along Chuckanut Drive. 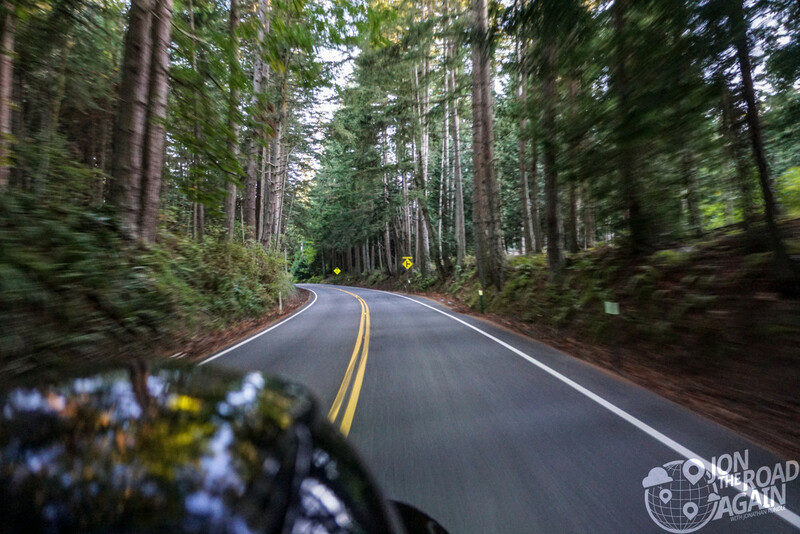 State Highway 11, as it is also known, started out in the 1890’s as a logging road. 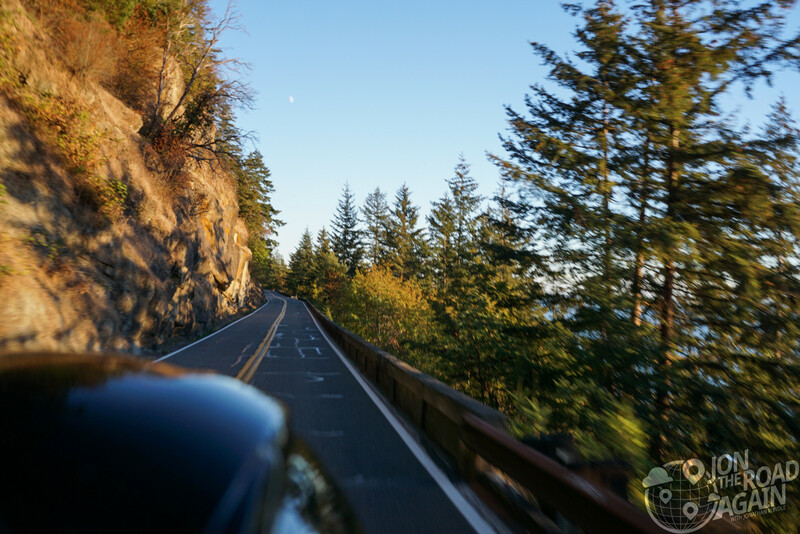 Improvements to the road began in 1905 as a way to improve access to Bellingham. Those early workers were actually prison labor and eventually completed by state road labor in 1916. Hey, that means 2016 is the 100th birthday of a completed Chuckanut Drive! An anniversary ride! 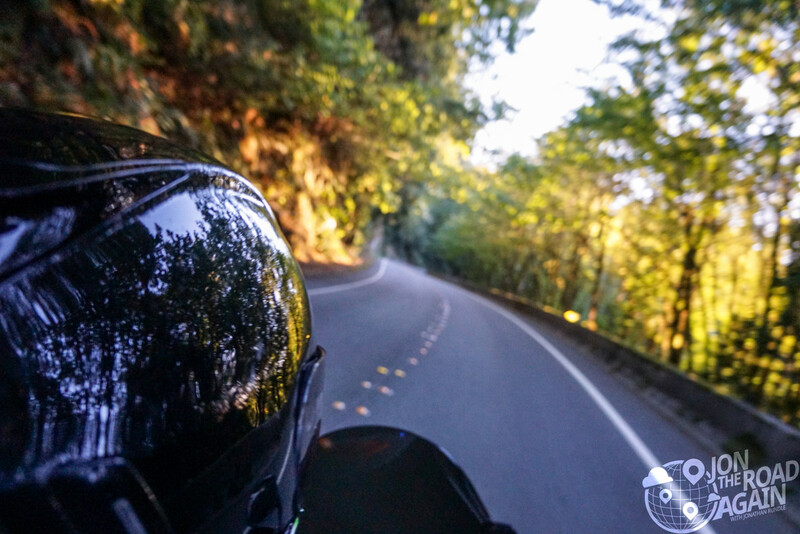 Starting in Bellingham and heading south, the road first dips down into Larrabee State Park, where the scenery is wooded and shady. 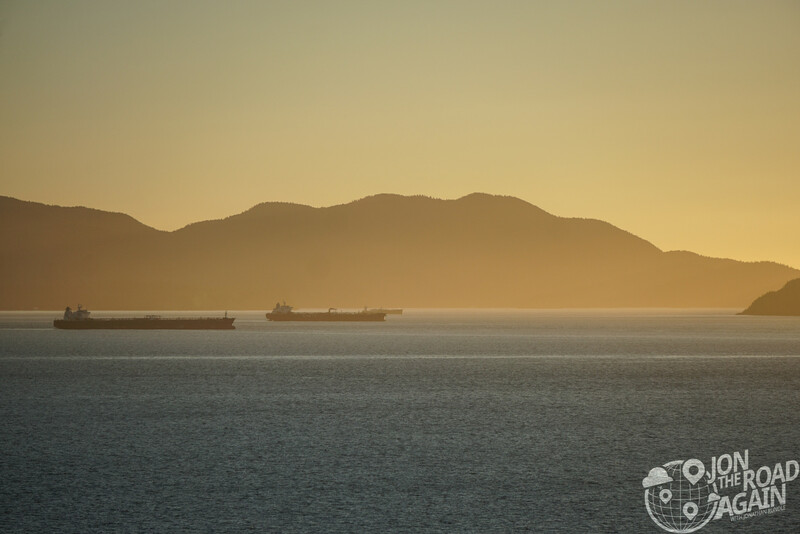 Larrabee is the state of Washington’s first state park, so decreed in 1915. Local Bellingham businessman Charles Larabee donated the initial site, with more land coming soon after, donated by adjacent property owners. Originally called Chuckanut State Park, the name was changed in his honor in 1923. 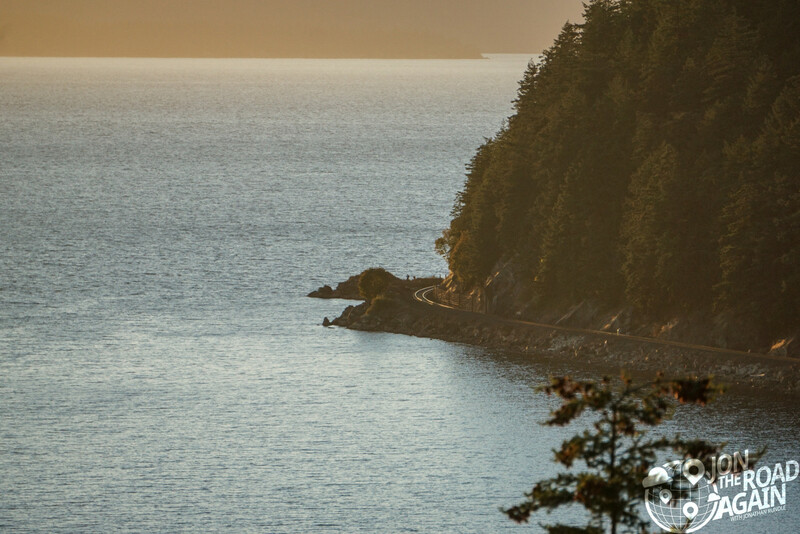 Rising out of Larrabee, the road clings to the rugged coastline. 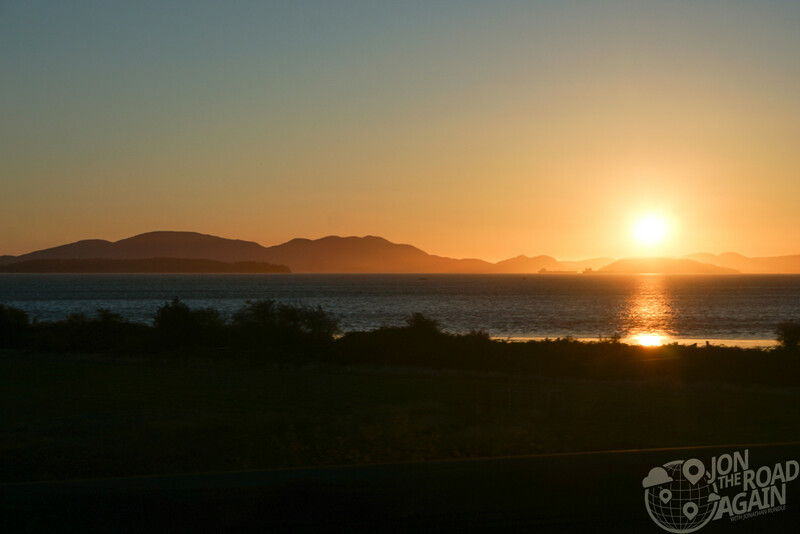 The two lane road offers fantastic peek-a-boo views of Samish Bay and the San Juan Islands. 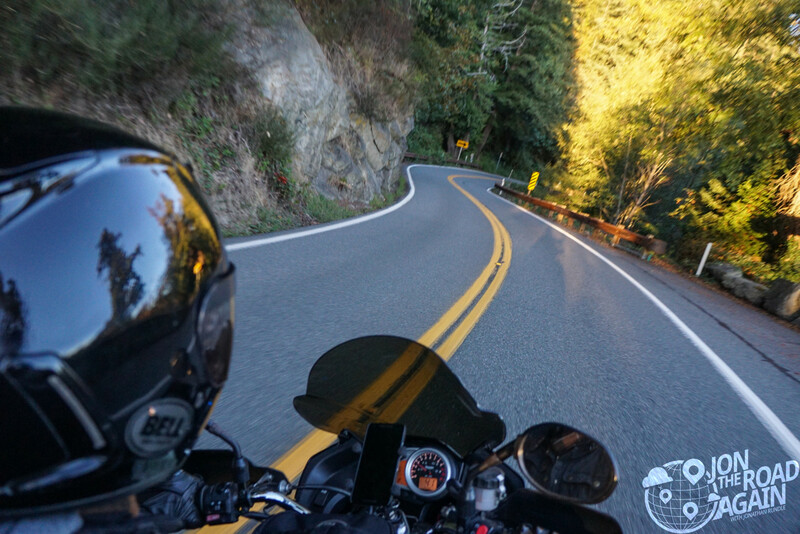 The road itself is an exhilarating ride with many twists and turns. I was racing the sun to get to an overlook before it disappeared behind the horizon. 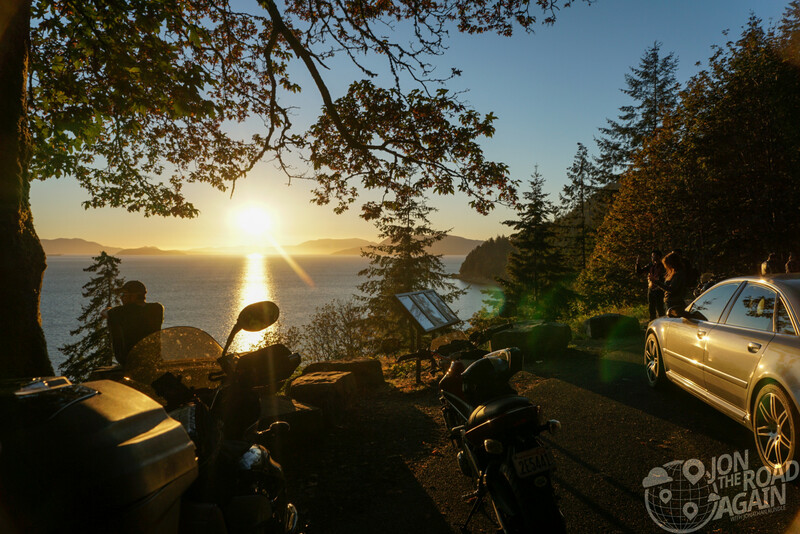 At the one of the overlooks, we took a break and enjoyed the views of the San Juan Islands, the city of Anacortes, and the Olympic Mountains farther out on the Olympic Peninsula. What an incredible view. Sidebar: If you ever get the opportunity to take the Amtrak Cascades between Seattle and Vancouver, these are the tracks you’ll follow. It’s very scenic, to say the least. Back on the road, we take many more twists and turns along the coastline. You’ll pass Taylor Shellfish Farm and a couple of really quaint restaurants. If we had more time, we most definitely would have stopped in for a visit. The broken sunlight reaching in through the trees added a surreal feeling to the forest. 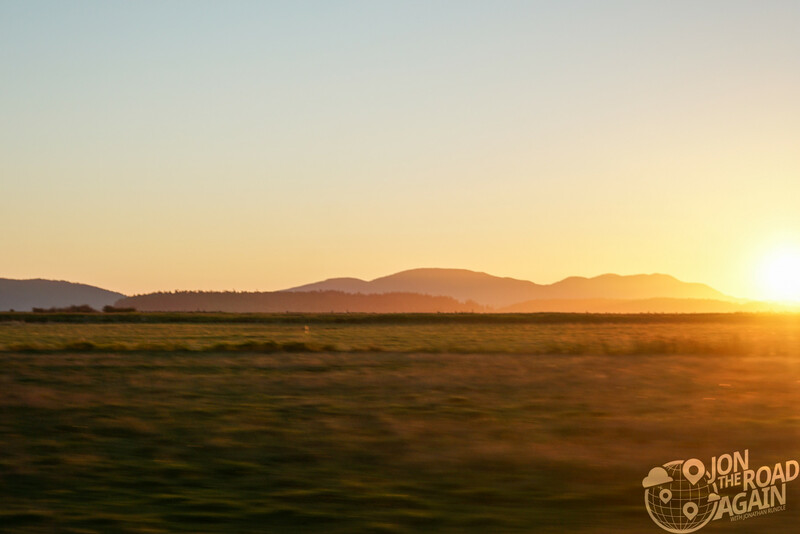 After riding the mountainside, Chuckanut Drive opens up to the more tame Samish farmlands. The road is every bit as scenic, but nowhere near as twisty. Here, the forest disappears; which means unobstructed views. 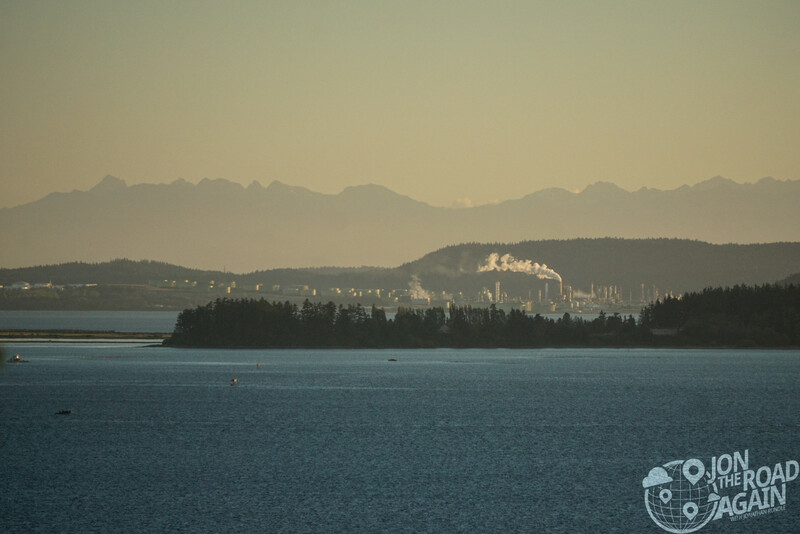 To your right, across the bay, watch the sun set behind the San Juans. 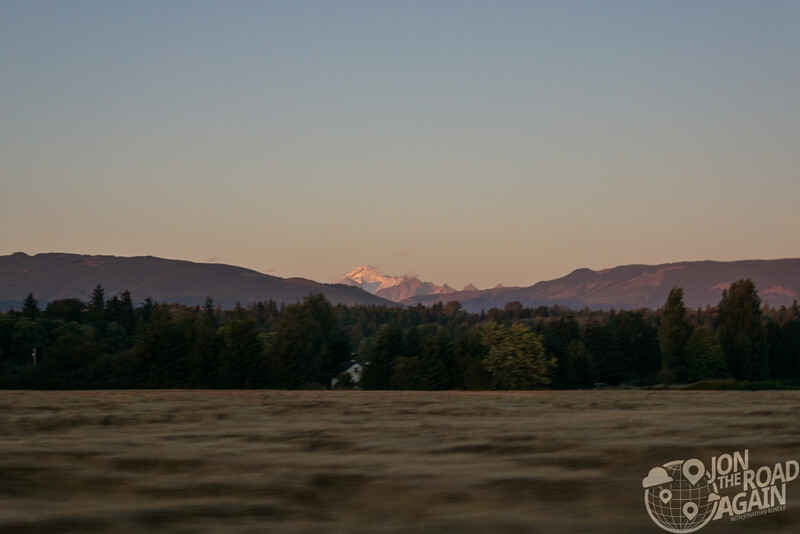 To your left, watch the last rays of light reach Mount Baker’s summit. Now it’s back onto I-5 to get home to Seattle. I’ll spare you the ride report on that one. I loved this ride. Especially when tied in with the Mount Baker Highway. 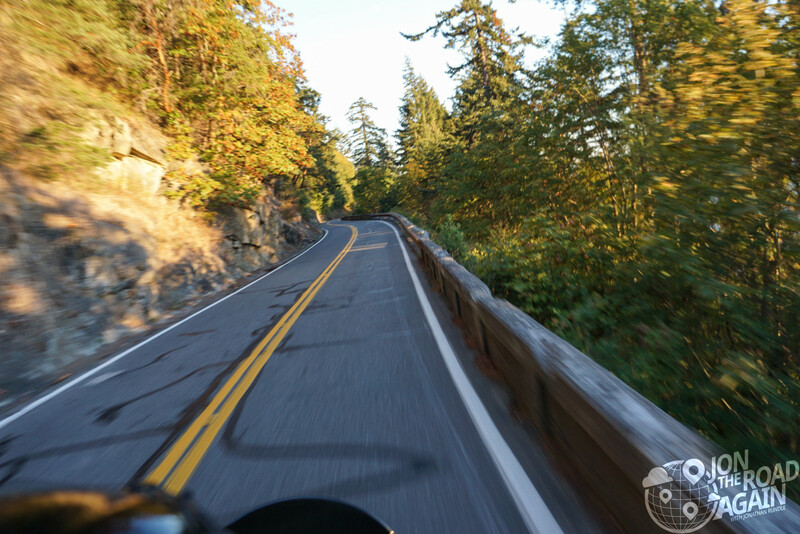 That route and Chuckanut Drive might have to become one of my yearly routines. Meet me at the Oyster Bar!